You are invited! 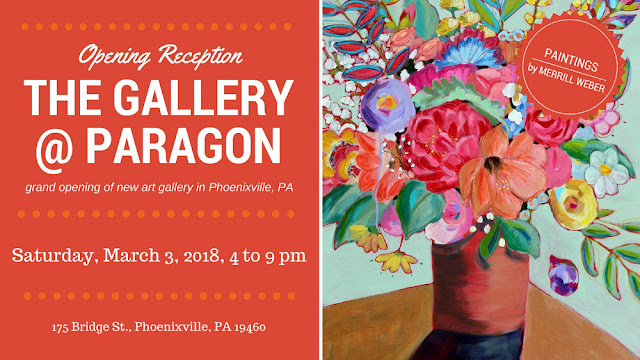 New art exhibition, new gallery! Mark your calendar for Saturday, March 3, 2018 when there will be an opening reception at the new Gallery at Paragon in Phoenixville, PA from 4 pm to 9 pm. 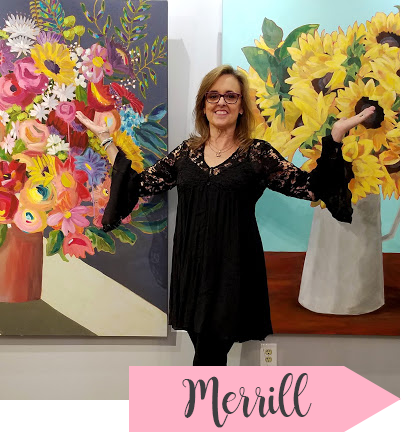 Come meet the artists and see my joy-filled floral paintings! I hope to see you there! The show runs March 3 through April 30, 2018. Click HERE for directions to the gallery. Subscribe to my monthly newsletter so you won't miss a thing! You will really only get 12 emails a year.